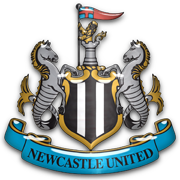 Hard luck Newcastle United! 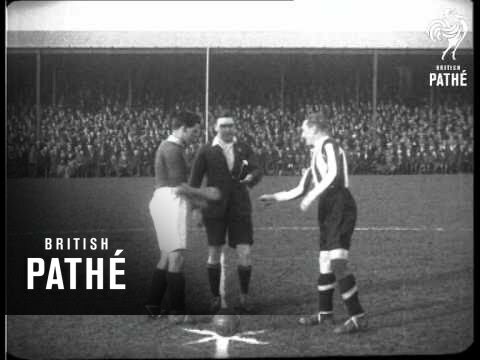 Superb British Path� footage from 1929, as two Harry Morris strikes give the Town's 'renowned cup fighters' a 2-0 win over the Magpies. 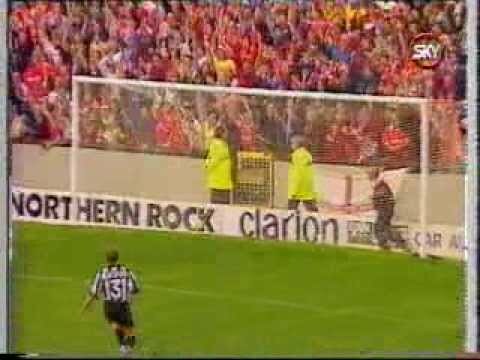 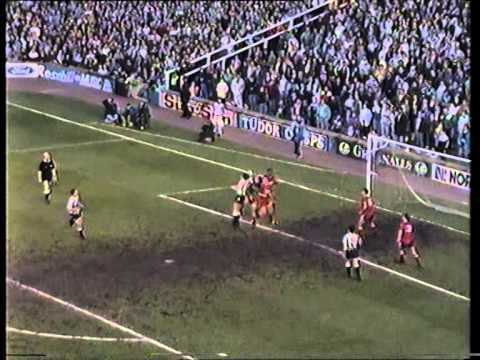 A game that would have far-reaching consequences for years to come - Swindon are thumped 5-0 at St.
After Micky Quinn gives Newcastle the lead with virtually the last kick of the first half, Duncan Shearer repays them with the last kick of the second. 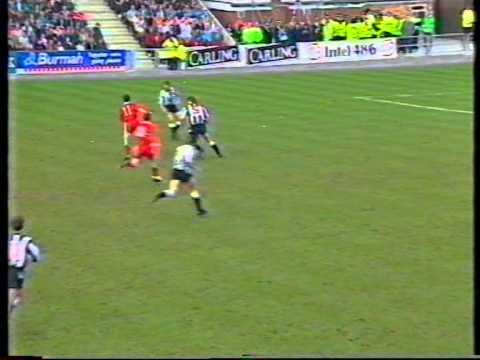 The promotion chasing Magpies are held to a goalless draw by the Town. 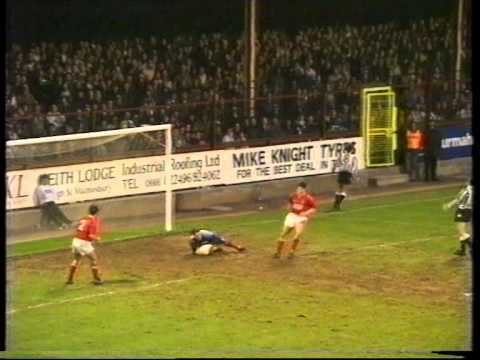 Former Town boss Ossie Ardiles gets a warm welcome as he brings his Newcastle side to the County Ground - but he leaves unhappy as Colin Calderwood and Steve White win the game for Swindon. 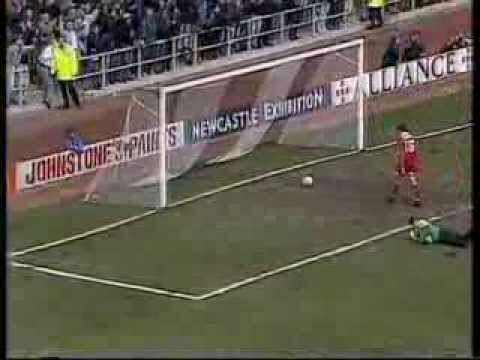 Though Kevin Keegan calls Town boss Glenn Hoddle after the game to congratulate him on his side's football, Newcastle win the game 3-1. 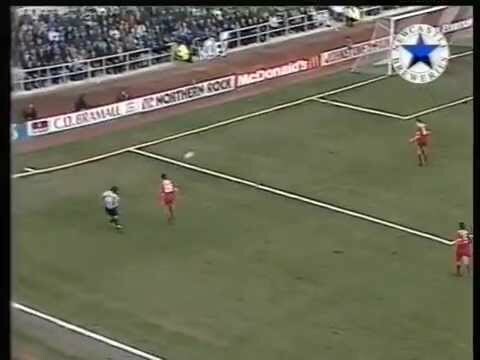 Full ITV coverage of the top-of-the-table clash at St James' Park - the Magpies and the Robins playing out a goalless draw. 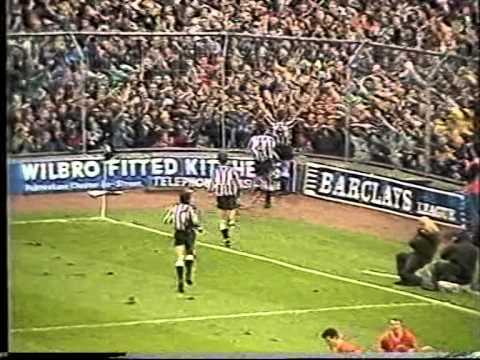 Two goals in four minutes from Paul Bodin and Colin Calderwood see the Town come from behind to win against champions-elect Newcastle. 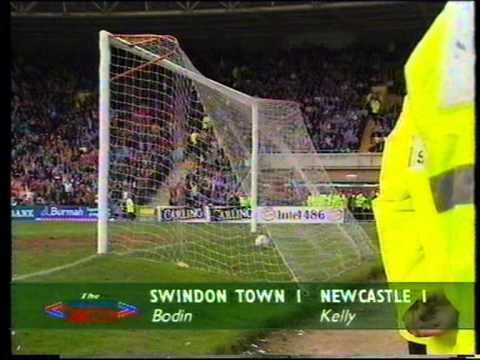 Swindon are punished for two misses by Paul Bodin - one from the penalty spot - as Newcastle take a 2-0 half-time lead at the County Ground. 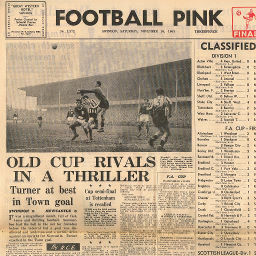 (Almost) full coverage of the Town's biggest Premiership defeat - with only a handful of Town fans in the ground - no away tickets are available due to redevelopment at St.
With only a handful of Town fans in the ground - no away tickets are available due to redevelopment at St.
Click to view a newspaper report of Swindon's 2-0 win against Newcastle United in the 1928-1929 season. 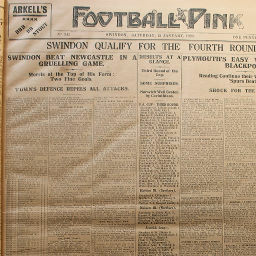 Click to view a newspaper report of Swindon's 0-0 draw against Newcastle United in the 1963-1964 season. 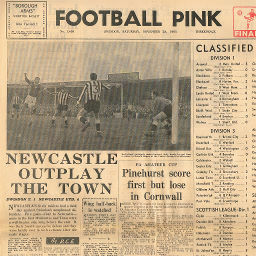 Click to view a newspaper report of Swindon's 1-4 defeat at Newcastle United in the 1963-1964 season. 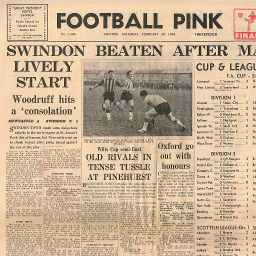 Click to view a newspaper report of Swindon's 1-6 defeat against Newcastle United in the 1964-1965 season. 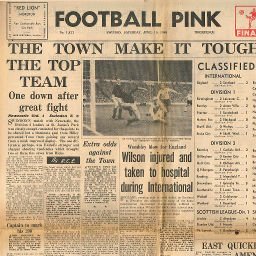 Click to view a newspaper report of Swindon's 0-1 defeat at Newcastle United in the 1964-1965 season.